A number of 5-inch devices have been launched in the market and it has become quite difficult to choose one from them all. 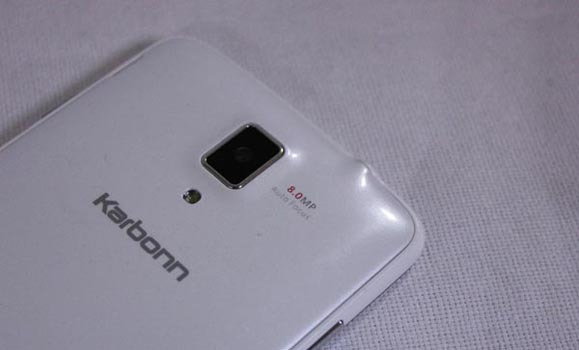 The Titanium S5 Plus by Karbonn is also a member of the 5 inch family and is available under the Rs. 11,000 price bracket. So does it offer enough at the price? The specs of the Titanium S5 Plus include a 1.3GHz quad-core processor with 1GB of RAM, 4GB of inbuilt storage and a microSD card slot to expand your memory. 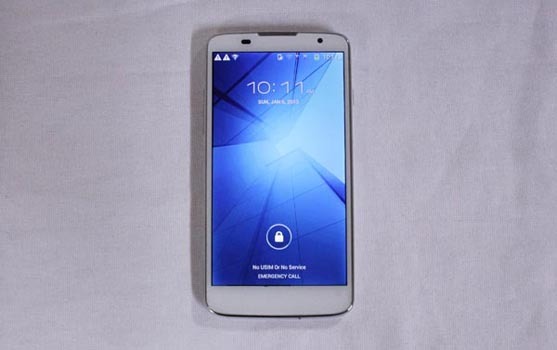 It has a 5 inch IPS display with qHD (960x540 pixels) resolution, an 8MP rear camera, a 0.3MP front camera, dual-SIM capability, Wi-Fi and an 1800mAh battery. The smartphone runs on Android 4.2.2 Jelly Bean. When looking for a smartphone in the low to mid segment, one has to usually compromise on either some features or the build quality. The Titanium S5 Plus, quite frankly, has decent build quality; it has glossy plastic all around with some chrome accents which make it look good. The handset actually feels good in the hand as it isn’t that bulky, although it does tend to slip thanks to the glossy body. With respect to the 5 inch IPS display, we really wished it was a 720p display. The display, even though crisp, lacks a certain punch to it. The glass on the front panel did annoy us a bit as it is prone to fingerprints and smudges. There are the usual sensors above the display along with a VGA front camera. On the left we have the volume control keys finished off in chrome, the top has the microUSB port with the 3.5mm audio jack and on the right there is the power/lock key (also in chrome). The back houses the 8MP camera with an LED flash and the speaker is at the bottom. 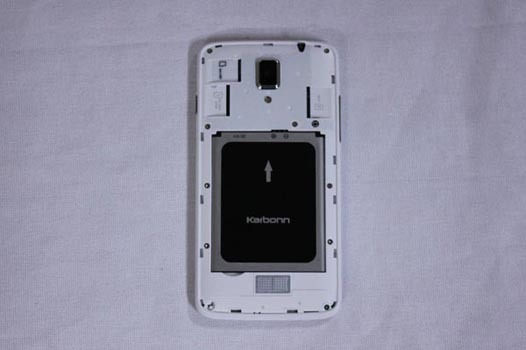 Under the back panel we have an 1800mAh battery, two SIM slots and a microSD care expansion slot. The hardware on the Titanium S5 Plus is pretty good which includes a 1.3GHz quad-core processor with 1GB of RAM and 4GB of internal memory. For a sub-11k smartphone, the Titanium S5 plus is very good looking device. Of course the brand does matter a lot to many buyers, but then again, a lot of Indian manufacturers have been producing some real quality hardware.